Marcello Pellegrino Ernetti was an Italian Roman Catholic priest and renowned musicologist specializing in Pre-Christian ancient music. He had a university degree in quantum physics and is responsible for the invention of a device called the chronovisor, a time viewer that scanned the light and sound emanations of local objects to reconstruct specific sets of events from the past. Ernetti first conceived of the chronovisor during his work with renowned physician and psychologist Father Agostino Gernelli. They were attempting to filter harmonics from Gregorian chants (a well known collection of sacred music from the 8th century) when Ernetti and Gernelli began hearing the voice of Ernetti’s dead father speaking to them through a wire recorder they were using. 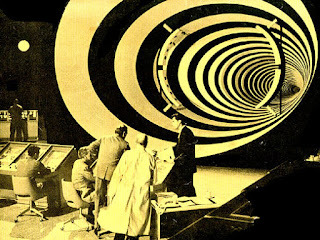 Under the guidance of another Roman Catholic priest, Francoise Brune, Ernetti allegedly began working with a group of twelve world-famous scientists to construct the time viewer. The final product was described as a large cabinet with a cathode ray tube. A collection of buttons and levers were used to select the time and spatial location that the operator wished to view. It could receive, decode, and reproduce the electromagnetic radiation imprinted from past events. According to Ernetti, sound waves and audible signals could also be captured and recorded by the machine, which explains the voice of his dead father heard during the early experiments with Gregorian chant. 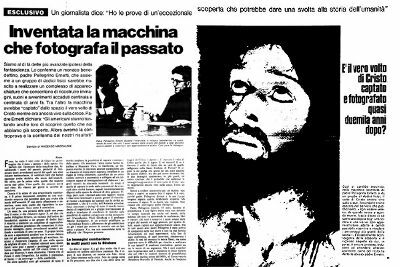 One of the most famous and shocking claims to come from Father Ernetti was his photograph of Christ at the moment of crucifixion, which appeared in an Italian magazine in 1972 (image shown above). A nearly identical pre-existing image was later found in the form of a wood carving by a Spanish sculptor, casting doubt on the article’s claims. 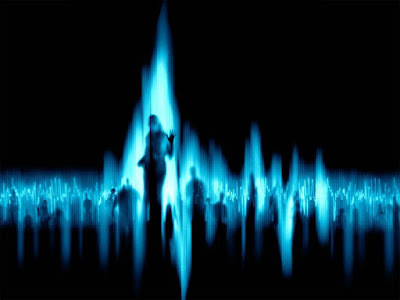 Despite the seemingly ludicrous nature of Ernetti’s claims, he represents just one public figure in a larger collection of parapsychologists studying Electronic Voice Phenomenon. During the late 19th and early 20th century, as the Spiritualist Religious Movement was coming on strong around the world, the belief that spirit medium could contact the dead was rising in popularity. New communication technologies like aura photography and ouji boards came into popularity, to help people see spirits and relate to them. Even Thomas Edison, when interviewed by Scientific American, stated that he believed a sensitive recording device would produce better odds for successful communication than something like a Ouija board. Konstatin Raudive was a major pioneer in the EVP movement, recording over 100,000 communications with discarnate people. He conducted his experiments using rigorous scientific methods, controlled environments, and invited listeners to interpret the voices for themselves. Skeptics refute Electronic Voice Phenomena and claim that they are the result of auditory pareidolia, which means that the operator hears and interprets random noise as signals in their own language, along with apophenia, or the tendency for human beings to perceived patterns in random information. I don’t know whether people are actually perceiving ghosts in these recordings or whether they are overlaying their own projected meaning onto otherwise random information. Both seem possible to me. What interests me about this study is the anthropological reality that tens of thousands of people have been involved in studies that investigate the use of sound and music to communicate with the dead. As I’ve written about in my book Astromusik and Audiomancy, there is a mountain of evidence pointing to the interpenetration of music, religion, spirituality and parapsychology within the human species. The same spiritualist groups that played with EVP and ouija boards were also involved in creating and propagating initiatory secret societies like the Hermetic Order of the Golden Dawn, the Ordo Templi Orientis, Builders of the Adytum, Fraternal Order of the Hidden Light, and so forth. Just a few centuries ago, when secular music was repressed and religious music was exalted, chant was among the central elements of religious ritual used to create an atmosphere through which spirits would come forward and communicate with the congregation. Have things changed since then?